Remember the huge Equifax breach in 2017? According to the Federal Trade Commission, hackers got personal information of 143 million Americans (myself included). It’s bad when “regular” companies get hacked. But when a credit reporting agency, with so much of our personal and financial history, is hacked, it’s extra distressing. Because of that breach, a law effective September 21, 2018 lets people freeze and unfreeze their credit free of charge. The FTC says to contact each of the three reporting agencies: Equifax, Experian, and TransUnion. Certain guidelines must be met. If a freeze is requested by phone or online, the freeze must be placed within one business day. To lift a freeze, it must be done within one hour. If requested by mail, the freeze must be placed or lifted within three business days after your request is received. Monitor your credit reports. 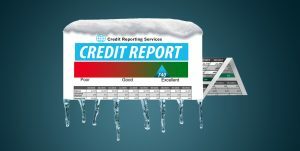 Get a free report every 12 months at annualcreditreport.com from each agency because data may differ. My advice is to spread them out. For example, get one in January, another in May and the third in September. But if you plan a large purchase soon, get all three now to have time to review and correct any errors before lenders access them. FICO will have an additional score, called UltraFICO Score, beginning early 2019. The aim is to increase approvals for credit to people such as those with little or no credit history or have student debt. Rather than relying on payment history, UltraFICO looks at balances and repayment history, any overdrawn accounts or bounced checks, in checking, savings and money market accounts to gauge likelihood of repayment. Getting an UltraFICO Score is completely voluntary. It’s a one-time snapshot of your accounts, not ongoing monitoring. Scores can be improved by about 20 points. Be vigilant about protecting your data as best you can. Enough bad stuff happens outside your control, right?